networking + happy hour + shopping? yes please! 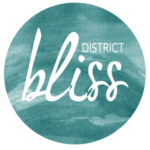 Join district bliss on may 10th from 6-8pm at kendra scott for our va vendor social! Hey VA! It’s been a while! We’re super stoked to be teaming up with our favs at Kendra Scott to bring the DM[V] a stellar evening of networking fun, sipping on delicious drinks during happy hour, fun activities + giveaways, PLUS enjoy exclusive KS discounts! It’s the PERFECT time to grab a little bling for Mother’s Day! Treat your mom & treat yourself ? Come out and meet rad creatives, do a little browsing, get tons of design & business inspo, and just have fun! The evening is about YOU. Join a great group of creatives, makers, entrepreneurs, start-ups, artist, wedding + event vendors, and more! Help us creative a supportive community of creative entrepreneurs! -Happy hour – because what’s better than toasting with other rad entrepreneurs?! -Competition – we’re all about supporting the community! -Awkwardness – because we’re super pumped to meet you! EVERYONE IS WELCOME! You seriously don’t wanna miss out! Hang out with the raddest DMV creatives, share your business & GET INSPIRED! Even if you’re not an entrepreneur and just looking to meet some new people, join us! Make quality connections all while having a great evening! Plus pick up that special something for mom just in time for mother’s day!